Hospitality Financial and Technology Professionals (HFTP) and Naseba, co-producers of Hitec Dubai - the world’s largest hospitality technology exhibition and conference brand, have announced the advisory council for this year's event. 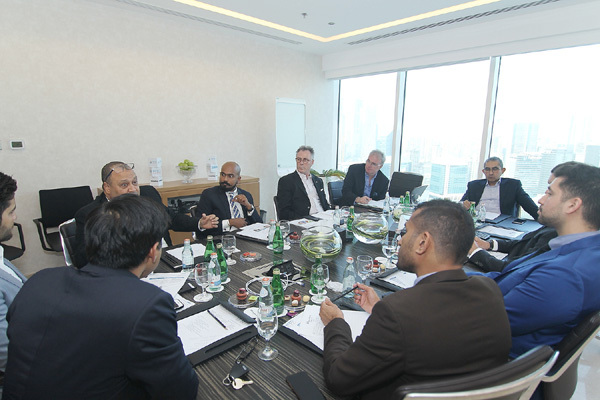 To plan Hitec Dubai’s educational programme, an advisory council of experts with years of experience has been formed. The council’s role is to discuss and design an agenda that is most relevant to the Middle East’s challenges, needs and upcoming hospitality technology trends. A regional extension to the world's largest hospitality technology conference brand, Hitec Dubai 2018 will feature 30+ speakers, 600+ hospitality stakeholders and 60+ solution and service providers. The show will give Middle East buyers – currently worth over $75 billion – access to global top solution providers in hospitality market through a top-notch education programme planned by the expert Hitec Dubai 2018 Advisory Council, as well as an exhibition showcasing the latest in hospitality technology, and a summit with one-to-one business meetings.